Since the 1930’s, attending the 4th of July Pet Parade & Old Fashioned Festival has been a tradition for Central Oregonians and visitors alike. Watch cute dogs and llamas parade in costume, eat food from local vendors, watch live music, and drink delicious beer all in one fun-filled day. The Bend 4th of July Pet Parade & Old Fashioned Festival has been held every year in downtown Bend since the 1930’s. This event in Bend begins in the morning with an adorable 1.5-mile pet parade through downtown Bend. Open to dogs, cats, llamas, horses, hamsters, and even stuffed animals, the parade doesn’t discriminate and simply showcases the city’s cutest, fluffiest, friendliest, and funniest animals. This great parade ends in Drake Park, which is located on the shore of the Deschutes River in downtown Bend. At Drake Park, live music, local artisans, and food vendors are all set up for your entertainment. There’s also an oversized kids’ area where your little ones can enjoy free old fashioned fun and games. To get the most out of events in Bend, we recommend starting the morning by eating at one of Bend’s delicious breakfast joints, heading down to the pet parade, and then ending the day by perusing local vendors and drinking local beer at Drake Park. As a fun event for people of all ages, we highly recommend this event to families visiting Bend! Did you know that Bend Vacation Rentals offers several pet-friendly vacation homes? 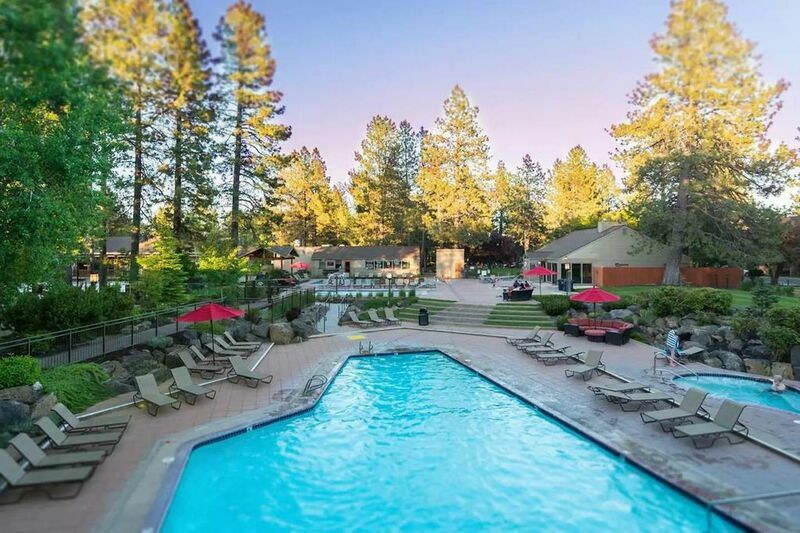 Located all across downtown Bend and even into the foothills, these special properties allow pets and their owners to relax in comfort and get the rest they deserve on their Central Oregon vacation. Bring your dog along for the fun of Bend’s 4th of July Pet Parade & Old Fashioned Festival by staying in one of our pet-friendly Bend rentals! Browse our available pet-friendly rentals today by using our website’s Advanced Search function and enjoy all the best events in Bend, OR.